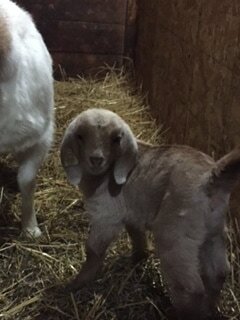 We have been raising commercial Boer goats for a few years now. Feel free to check in with us for market projects, pets or breeding stock. The 2018 crop of goats continues to be exciting for us. We have several nice doe goats out of the new buck "Big Al".